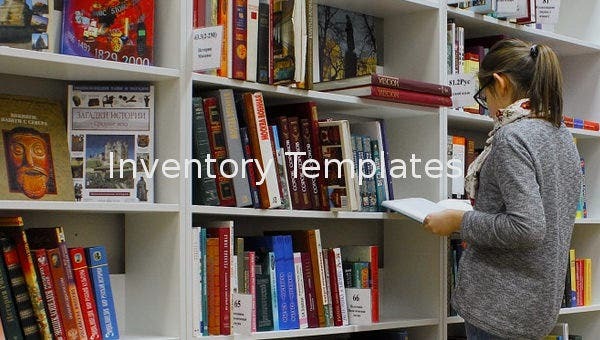 In order to keep and manage inventory properly you need to use an Inventory Template. 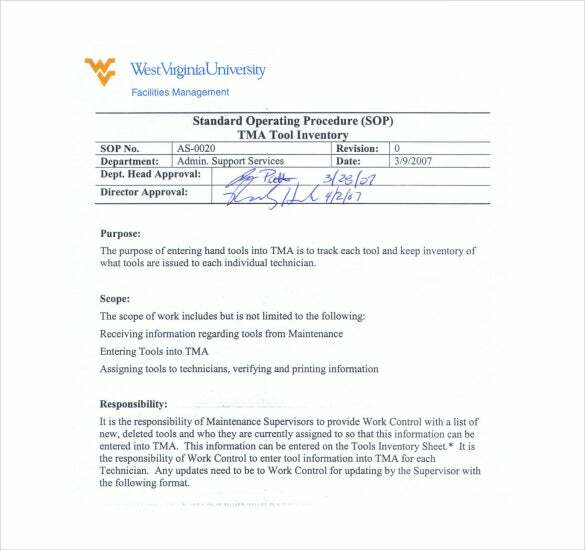 Avoid confusion, minimize loss and manage reorders professionally with ease without training in stock management in college. 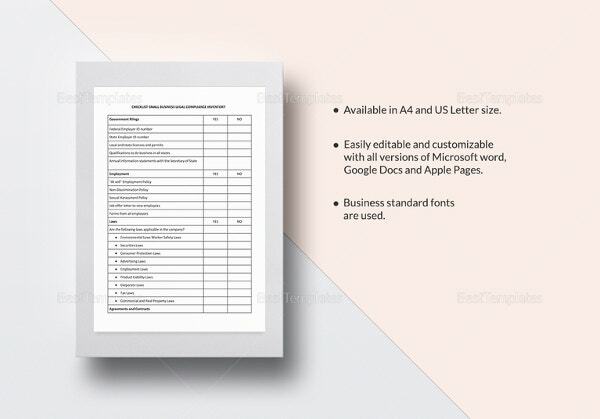 These templates are straight forward and will give you excellent reports anytime you want. They are available in many formats including Excel, Word, RTF, PSD, XPS and PDF. Simply download one and stat managing your inventory in a professional manner easily on your computer. 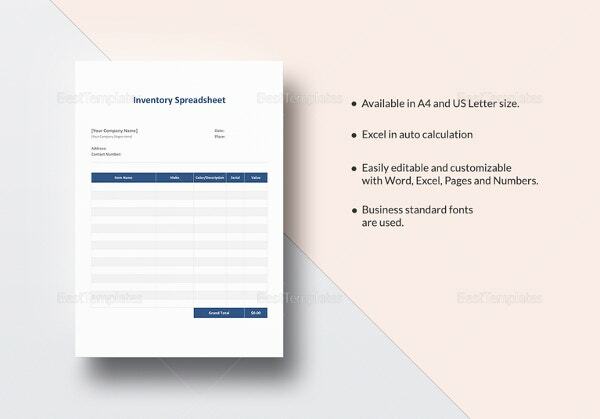 Get it Now In order to have your inventory well managed and well accounted for you need to use an inventory spreadsheet template. This professionally designed template has all you need to manage any kind and number of inventory. Available in Word, Excel, PSD, RTF and XPS formats. Just download and fill in with your business data. 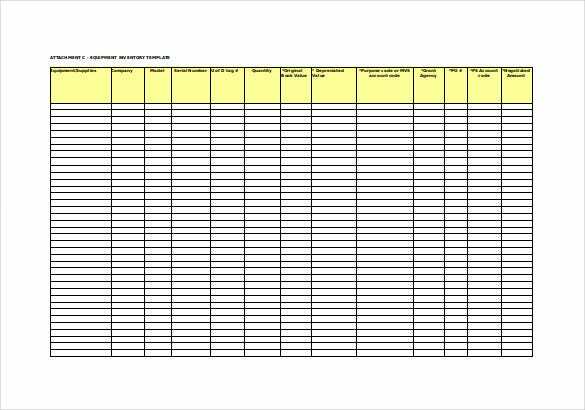 If you want to effectively manage your business you have to use an excel inventory template. They have been designed by experts to help you handle inventory like a professional even if you have prior training in inventory management. Available in Excel, PSD, Word, XPS and RTF formats just download and use. Managing your list of inventory require you to have inventory list template. This will categorize your entire inventory making them easy to manage. Just download the template into your computer in any format including PSD, PDF, Word, RTF, Excel and RTF. 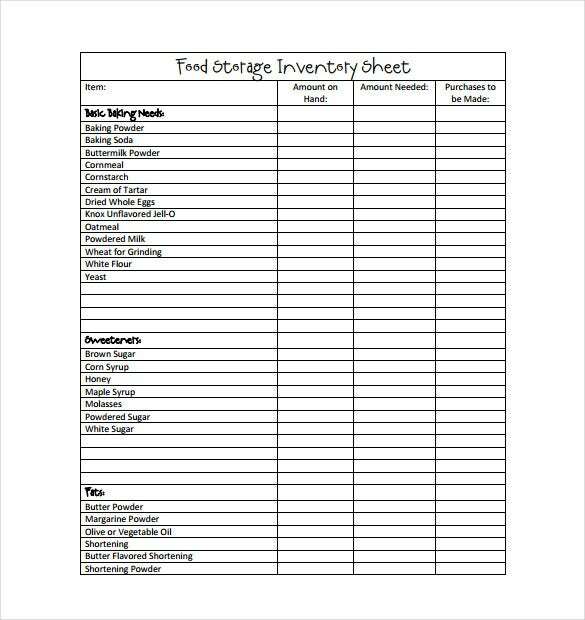 With this, your inventory list will be well organized. 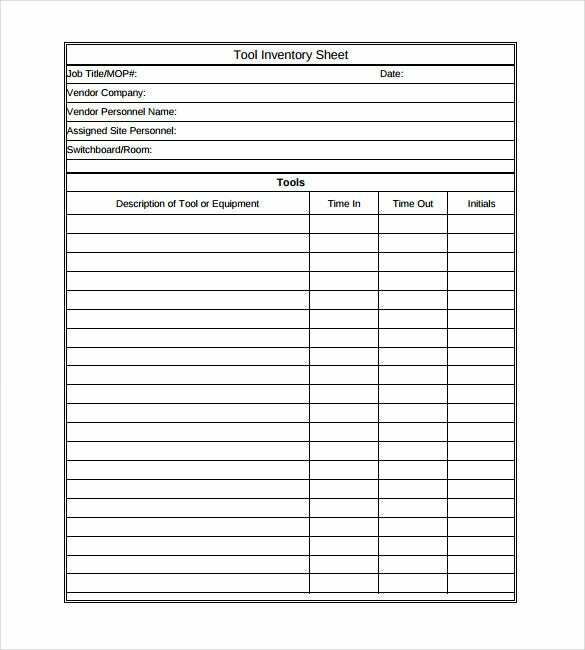 If you want to have a professionally managed inventory, just get this inventory sheet template. It is designed by experts to give you maximum control over your inventory. Download them in Excel, PSD, PDF, Word, RTF and XPS formats then fill easily with your inventory movement data and enjoy the results. 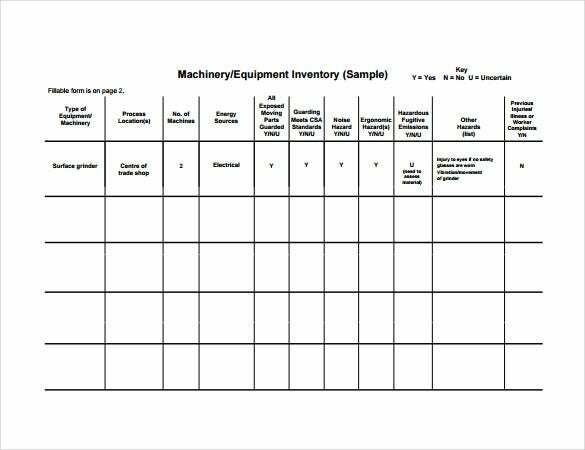 A better and easy way to manage your equipment is to use an equipment inventory template. 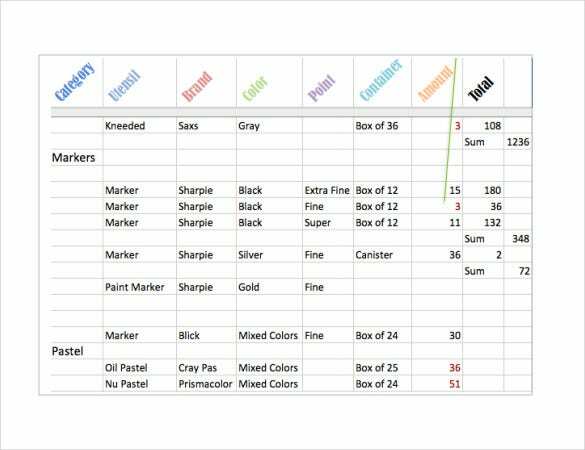 This template is crafted by professionals to make your inventory management work efficient. They can be downloaded in PDF, PSD, RTF, Excel, Word and XPS formats. All you have to do is fill it. 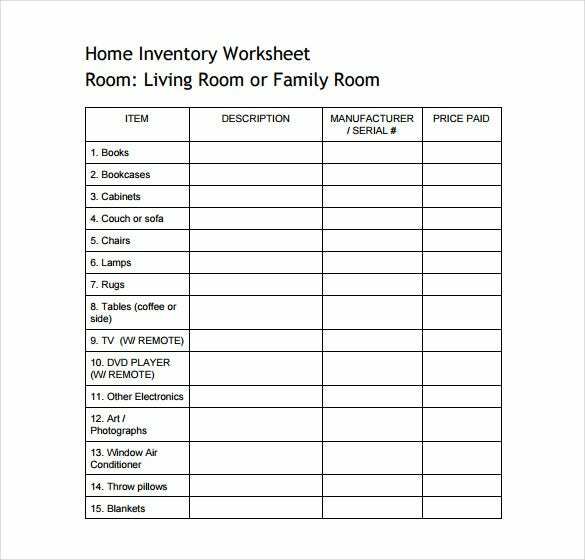 Managing your inventory at home is now very easy thanks to the home inventory template. It has been designed to support all kinds of inventory you may be having at home. Simply download it into your PC and proceed to fill it with your inventory and be in control without a sweat. 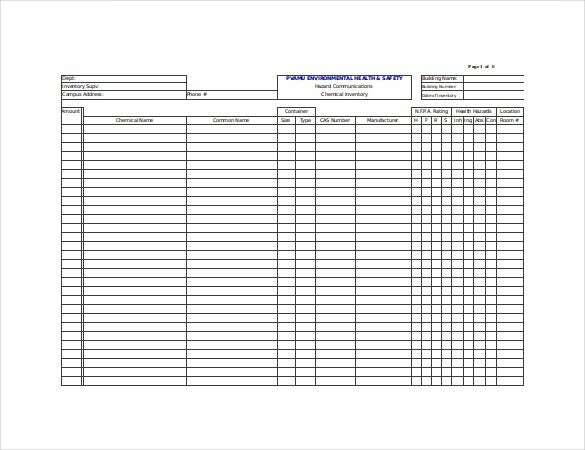 The best way to manage your inventory is using an inventory management excel template. 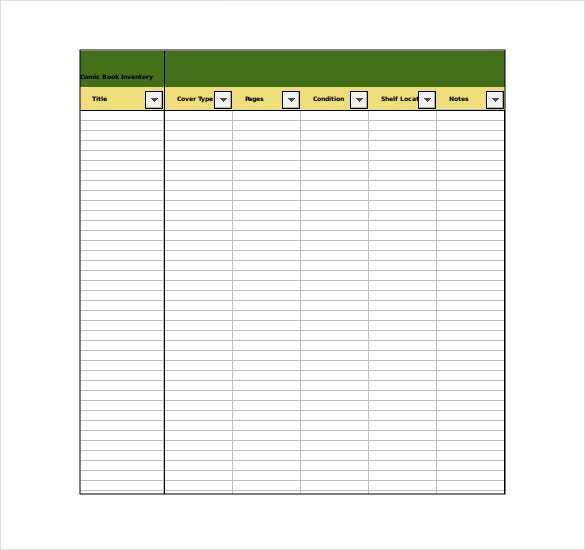 Available in Excel and CSV formats, download this professional template and have easy management of you inventory right from your PC. It makes your work appear like it’s done by an expert. 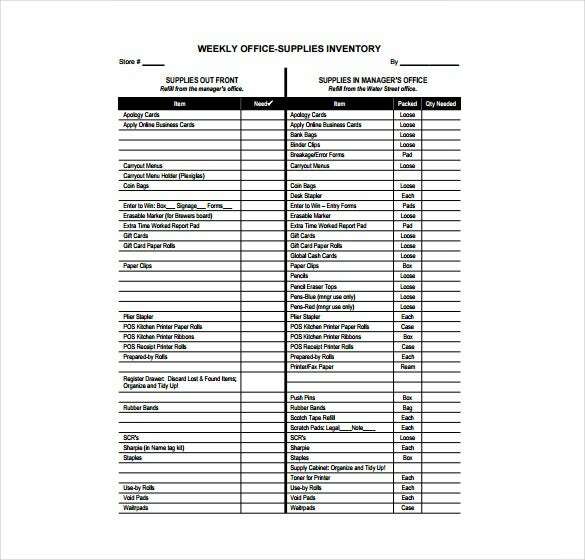 In order to effectively manage your office supply routines, use this office supply inventory template. It has the necessary design to make your work efficient every day. 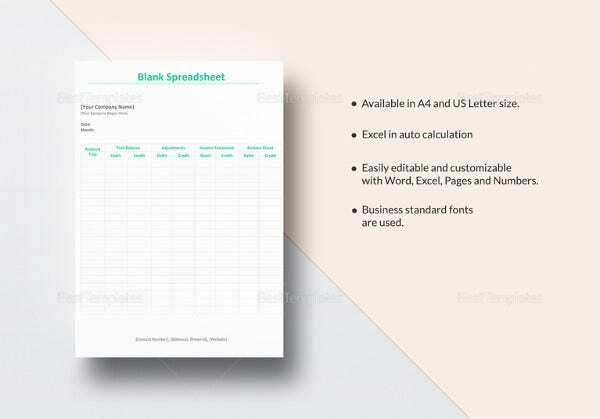 It is available in Excel and CSV format just download it into your PC and fill your office inventory, usage and reorder levels so you don’t have to forget again. 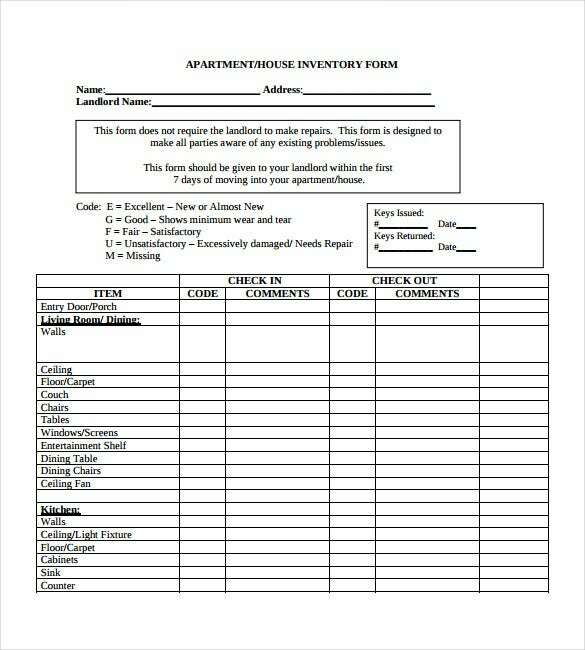 An efficient way to manage your inventory is by using an inventory form template. This is specially designed by experts to make your inventory management easy. Available in Word, RTF, XPS, PSD, Excel and PDF formats, this template has all you need to make your work presentable and professional fast. 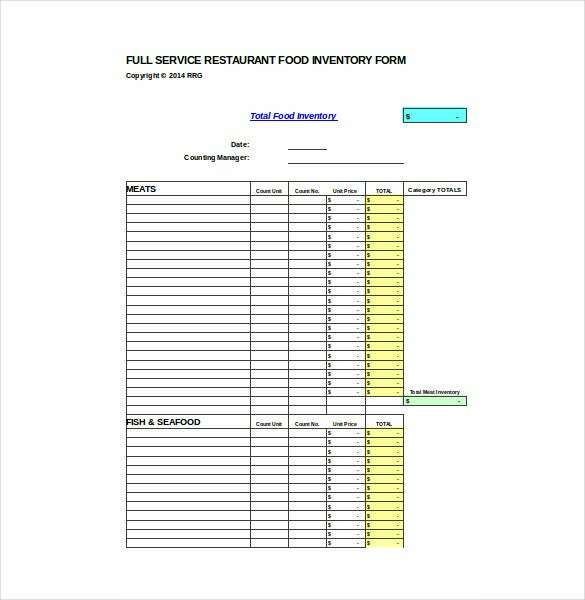 Managing your restaurant business can be made easy with a food inventory template. 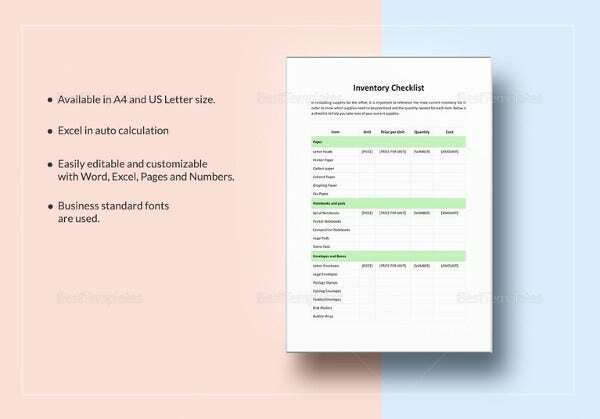 Designed to fit your business sector needs, this template makes it easy to receive low inventory warnings, manage re- order levels and inventory usage rates. Simply download one in Excel, RTF and CSV formats and fill in your inventory needs. 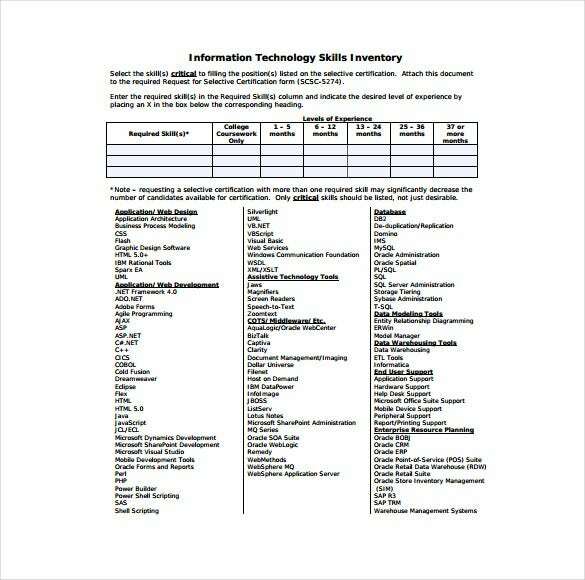 If you want to be in control of all your IT inventory and movement, use this it inventory template. It allows you to assign inventory to users, manage replacement dates, repairs and value. They can be downloaded to your computer and customized as you wish. Available in Excel, Word, PSD, XPS, CSV, and RTF formats. 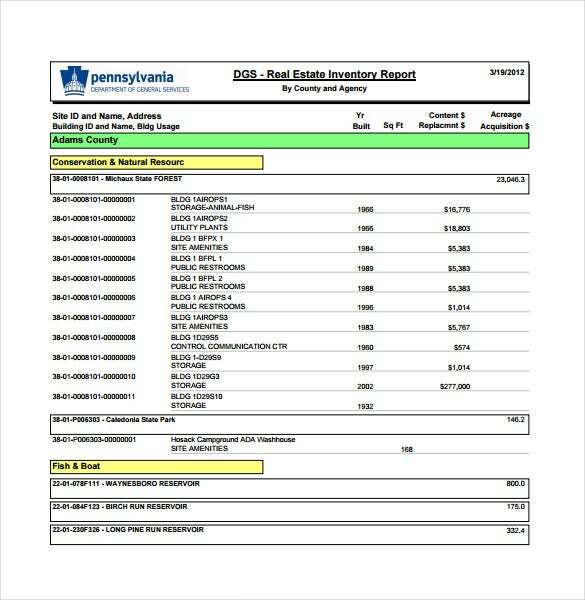 To have all your assets at your fingertips, you need to use this asset inventory template. It makes managing your assets very easy and professional. Download it in PSD, PDF, Excel, Word, XPS, RTF or RTF formats to your PC. 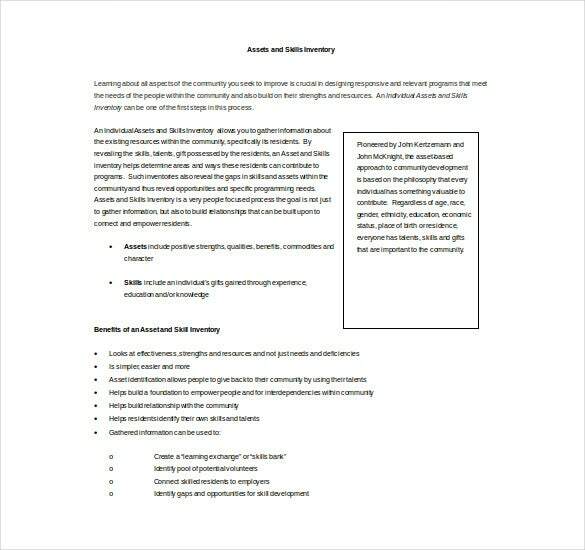 Simply fill the template with your asset information and where they are assigned. Any business needs a product inventory template to manage all their products in store. This helps in placing orders in time as it gives warnings when stocks are low. It also helps in quick valuation of stock at hand. Just download one to your PC in Excel, CSV, RTF, PSD or word formats. 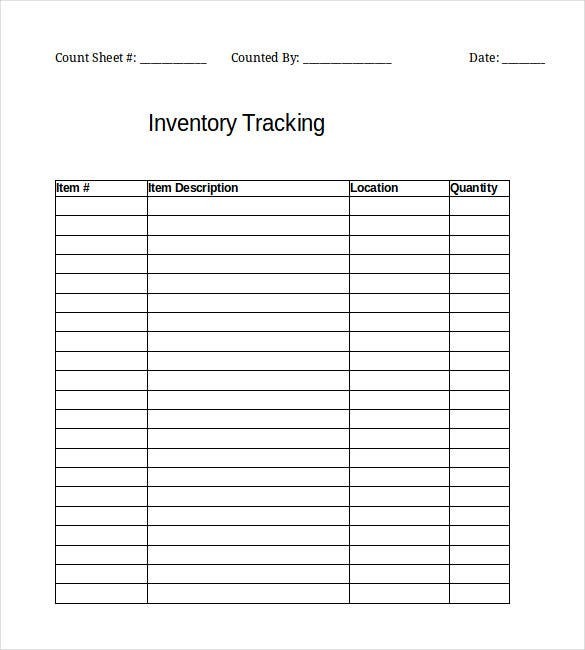 In order to know the movement of your inventory you need to use an inventory tracking template. 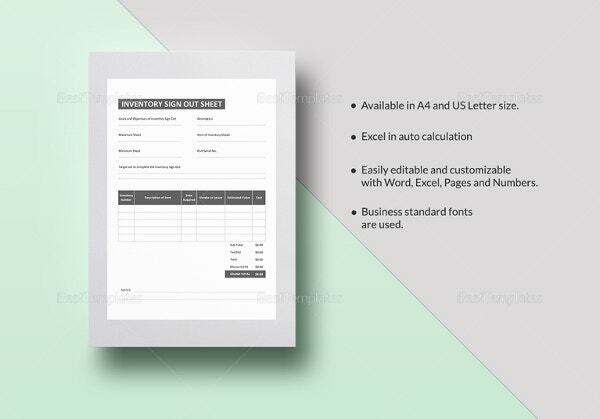 Designed by experts to make your work easy, this template can track supply, movement out and re- order levels very professionally. Download one in Excel, CSV, Word, PSD or RTF to use in your Computer. Managing all your computers in a large organization can be difficult hence the need for a computer inventory template. 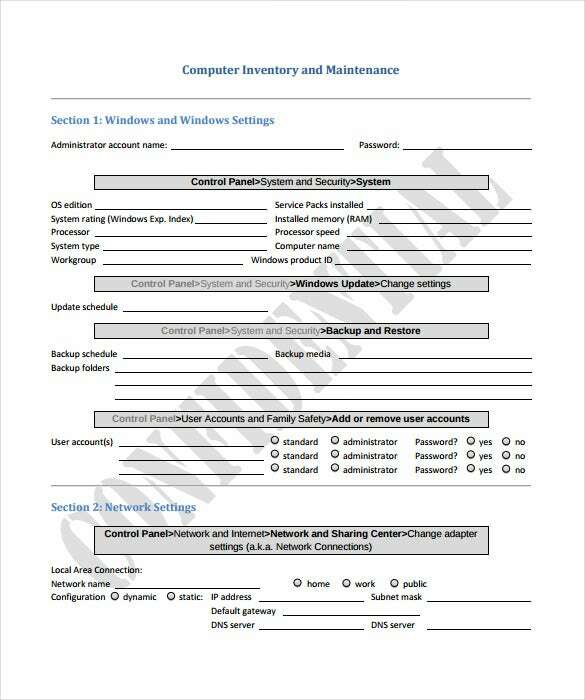 It is designed to help you be in control of every computer, issue dates, replacement, numbers and place used. Get one in formats like PDF, RTF, Word, CSV, XPS, PSD and Excel to use in your computer. 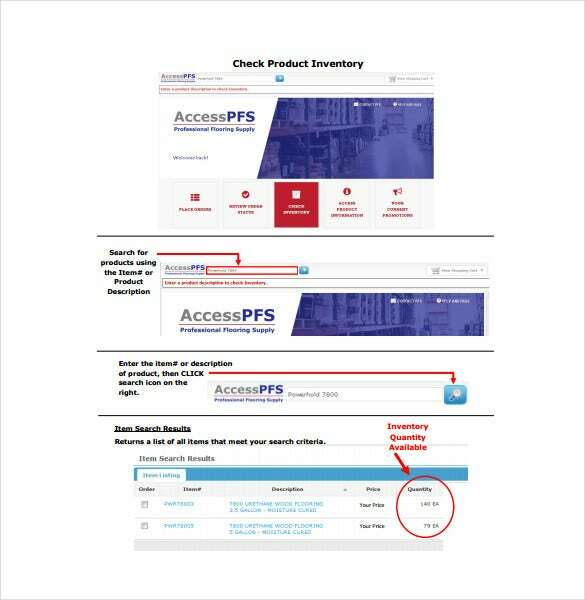 If you want your inventory to be properly managed you need to use this access inventory template. It has been professionally designed to make your work easy and convert you into an expert overnight. It is available for download in Access were you can configure it and fill with your inventory information. 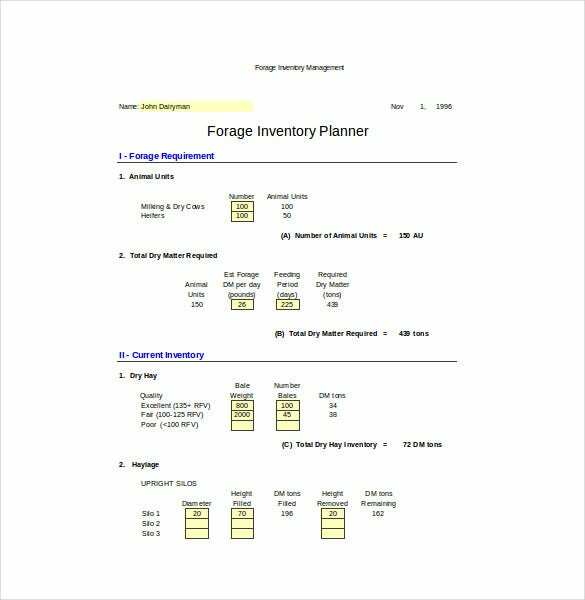 Managing the inventory of estate equipment can blow your mind that’s why you need an estate inventory template. With this you will know everywhere an item is and when to buy a new one. It is available for download in Excel, CSV, RTF, Word and PSD formats and fill the information easily. Your home, hardware or workshop tools need to stay organized and well accounted for. To do this you need to have a tool inventory template that will make everything appear professionally managed. Get one in Excel, RTF, PSD, XPS, PDD, Word or CSV formats and configure it to suit your tools management needs.